Yonex has replaced Victor as the equipment partner of the Badminton Korea Association. Yonex Co Ltd and the Badminton Korea Association signed the agreement at a Press conference in Seoul. 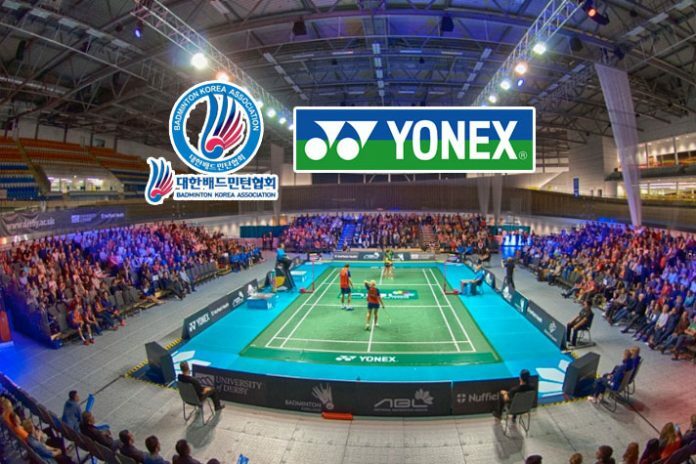 The four-year contract gives Yonex the status of the official equipment provider to the Korea National Badminton Team. Korea and its national team have long been a revered badminton power, in both men’s and women’s disciplines, having won the last Sudirman Cup in 2017, for example, as well as taking gold four times in total. The deal also marks Yonex’s return to the Badminton Korea Association after 10 years. Yonex previously held a contract with the Korean national badminton team from 1982 until 2009. Yonex will provide racquets, apparel, bags, shoes, shuttlecocks, and other equipment to the team, and will further cooperate with the BKA in efforts, such as the support of junior athletes, to promote and develop the sport in the country.